TV, Film, Web Series, etc. Princess performer for birthday parties and events by a professional actress/singer/dancer. I'm inquiring about an actress to impersonate PORTLANDIA Statue for the PORTLAND MARATHON aka Portlandathon Finish Line area. Portlandia the statue is kind of muscular and fit with long flowing hair. She wears a Toga and carries a trident. Technically it appears to be a pewter color but maybe it's bronze or other metal color. The finish line is outside regardless of the weather conditions. You might pose with race finishers. 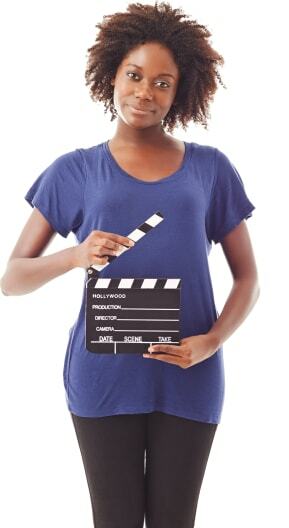 Two female actresses needed for a film shoot as part of a studio brand marketing campaign. We need you to play my girlfriends mom as my girlfriends mom is currently in prison and her guardian is dealing with a family emergency not in the state. We are planning on taking a trip and my mom wishes to discuss it with her first but she is unaware of her situation and if she knew it could end poorly. It's an odd request and if you have more questions or would like to meet in person we're available. Just as in real life... no man can shine without a beautiful woman by his side. With that in mind, it seems pretty obvious that what you need to make your production a success is a supremely-talented actress. They can show off their pearly whites and sell your product in a commercial spot, put on their dancing shoes for your musical production, or take on a starring or supporting role in your film or television show. Whatever part you need played, these ladies are ready for that hair and make-up chair! Search for Actresses in Portland, Oregon above. Please note that these Actresses may also travel to Milwaukie, Tigard, Marylhurst, Happy Valley, King City, McLoughlin, Gladstone, Image, Vancouver, Clackamas, Hazel Dell, Fairview, Sherwood, Damascus, Camas, Salmon Creek, Wilsonville, Troutdale, Boring, North Plains, Canby, Cornelius, Washougal, Aurora, Beavercreek, Eagle Creek, Brush Prairie, Donald, Scappoose, and Mulino.